The Kolkata Knight Riders are one of the most popular IPL teams and have won the title twice, once in 2012 and once in 2014. They were the first team to win a match in the IPL as they beat RCB riding on Brendon Mccullum's 158 in the 1st IPL match in 2008. Since then, they have given many great performances and have also encountered a few lows. KKR have made it to the playoffs 6 times and in the last 3 years, they have consistently been making it to the playoffs. They have had few standout performers for them in this period and the Kolkata fans have always been passionate and eager to support their stars and the players reciprocate with good performances. Let's take a look at the 3 best foreign batsmen who have played for KKR. 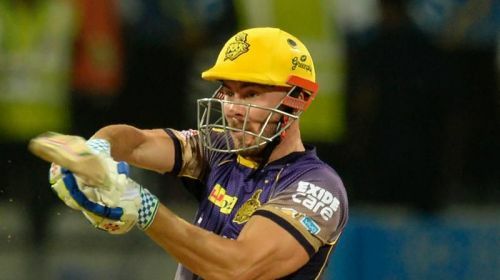 Chris Lynn is one of the most devastating T20 batsmen in the world and fetched quite an exorbitant amount in the auction. After great performances in the 2017 season where the Aussie showed tremendous firepower in the few games he played, KKR went all out to buy him in 2018 and eventually did so for ₹9.6 Crore. After an average start, he did pile up some runs and finished off with 491 runs last season, a decent effort from the Aussie. He is also one of the best fielders in the league and has taken a few spectacular catches. But his shoulder niggle has been troubling him for some time now. He has scored 875 runs in his IPL career so far at a great strike-rate of 141.12 and will look to fire this season.